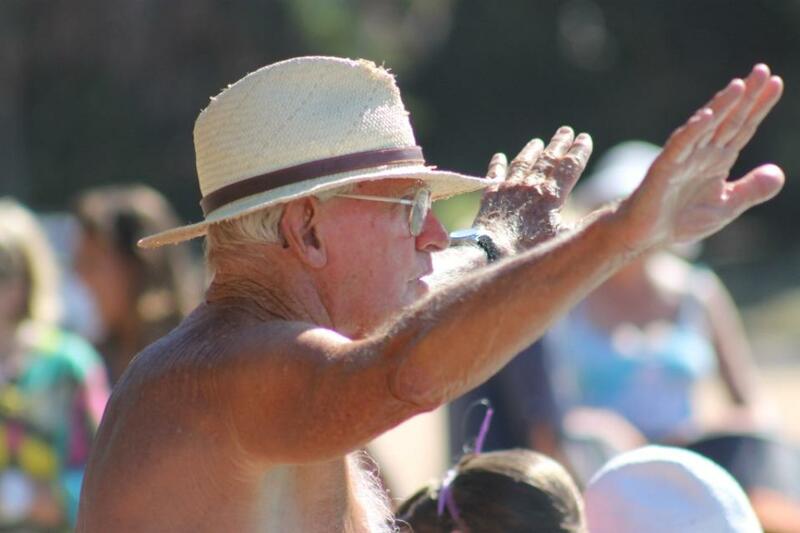 A Palm Beach Summer is not complete without a nod to Jack 'Johnny' Carter, the man who has taught suceeding generations of children to swim in the Rockpool at Palm Beach. That wonderful lady, 2012 President of the Maria Regina Primary School at Avalon P&C, Joanne Seve sent us a quick note during the week about the swimming classes her four girls have been taking with legendary Jack ‘Johnny’ Carter and his daughter Robey in the Rockpool at Palm Beach from 7am to 9am for the last two weeks. 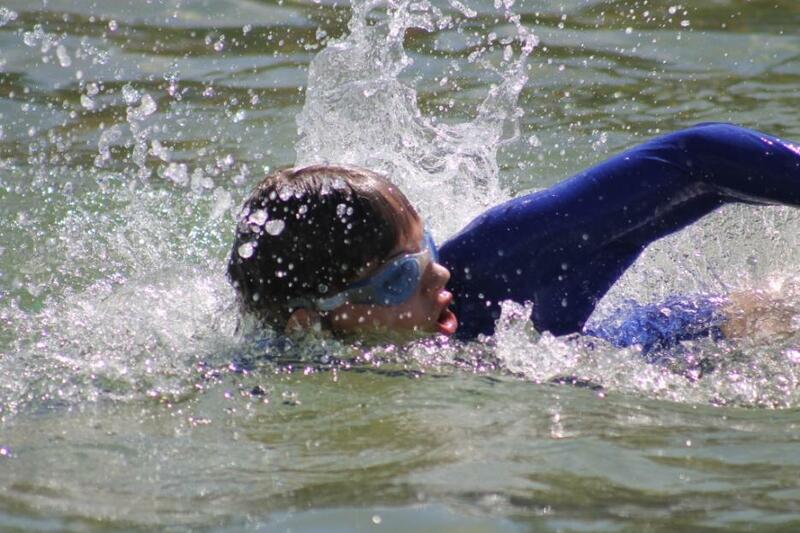 ‘The glorious setting, the rising sun over the ocean in the early mornings and the atmosphere of the classes have been absolutely exhilarating for children and parents alike.’ Joanne wrote, telling us about a swimming carnival to be held on Thursday afternoon. Mr Carter, now 82, has been on Palm Beach since 1947 when he commenced duties as a Beach Inspector*. 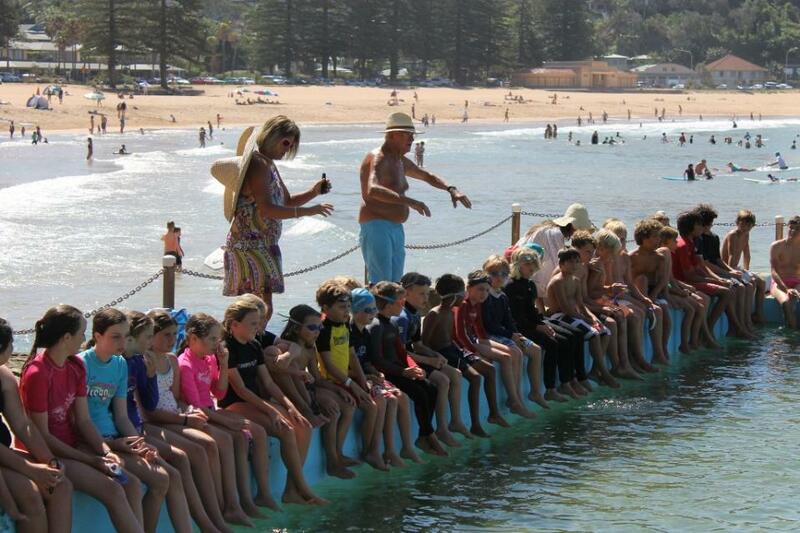 He has been teaching children swimming and surf skills for 65 years. 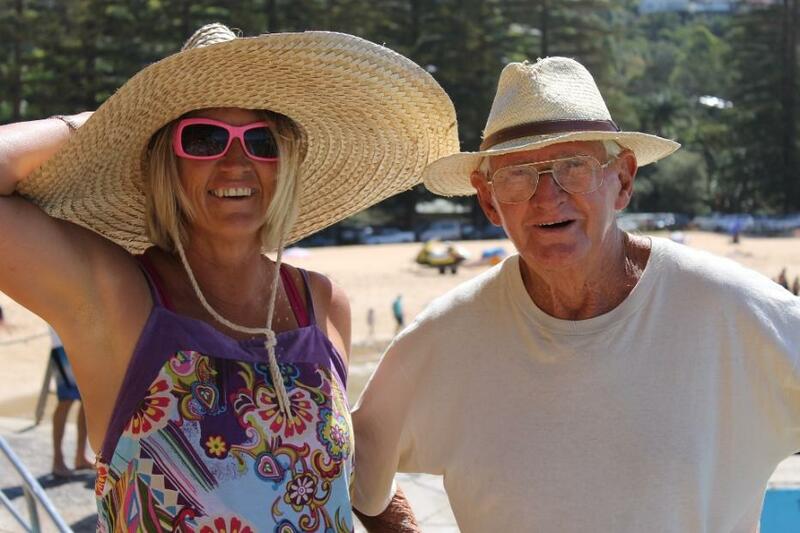 The gent who taught Kerry and Ros Packer to swim, then Jamie, “They’ve been very good to me,” often sees succeeding generations of children brought by their parents to learn from one of the best. Watching him on Thursday shake the hand of each boy swimming and kiss the top of the head of every girl before their racing is seeing a man’s love of his students. 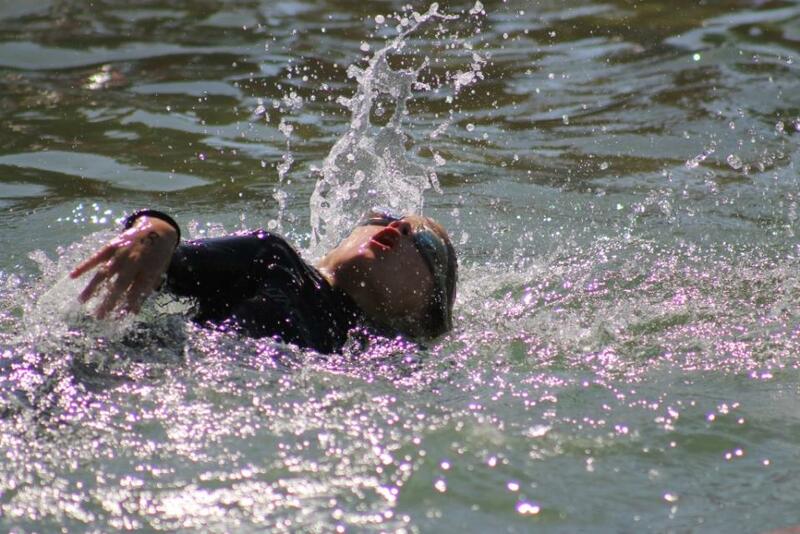 So how many children have you taught swimming in 65 years? After 65 years people know to just turn up here and I’ll give them a time to come down after school for private classes. My daughter Robey is running the business now, she teaches up Newcastle way and comes down to help me. I stay here until Easter. Many people ascribe the advancement of their children’s swimming skills to Johnny, stating ‘He brings out the best in the children.’ He knows how to make them laugh, he teaches them swim stroke and breathing methods and constantly reminds them to concentrate on this. While being taught all girls are ‘Maggie’ and all boys are ‘Jimmy’. You can see the children respond to Johnny, will push themselves to try harder at getting better. The little human fish seen flying through the water on Thursday, their yells, laughter and enjoyment are a testament that this man gets it right and has for at least 65 Summers now. Photos and report by A J Guesdon, 2013.